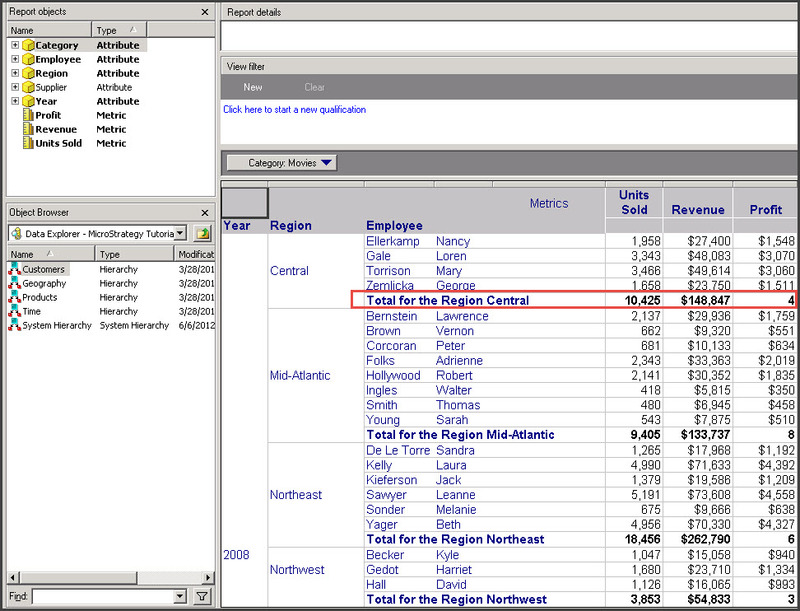 By default, when users apply subtotals in a report, the name of the subtotal is displayed in the subtotal line items that appear in the report. 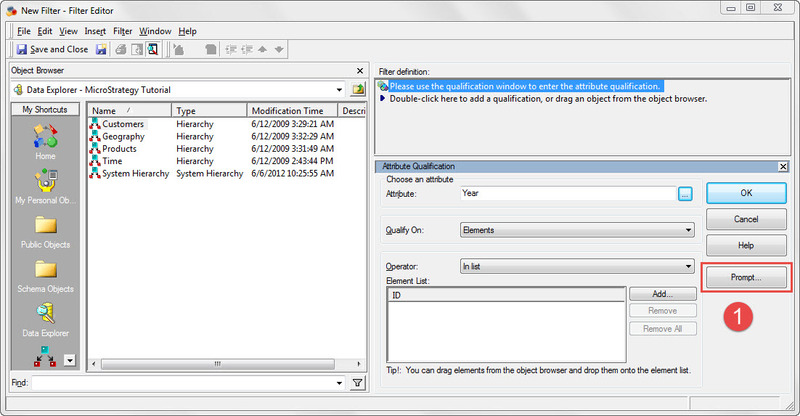 Users can use custom subtotals to give more control over the characteristics of a subtotal. 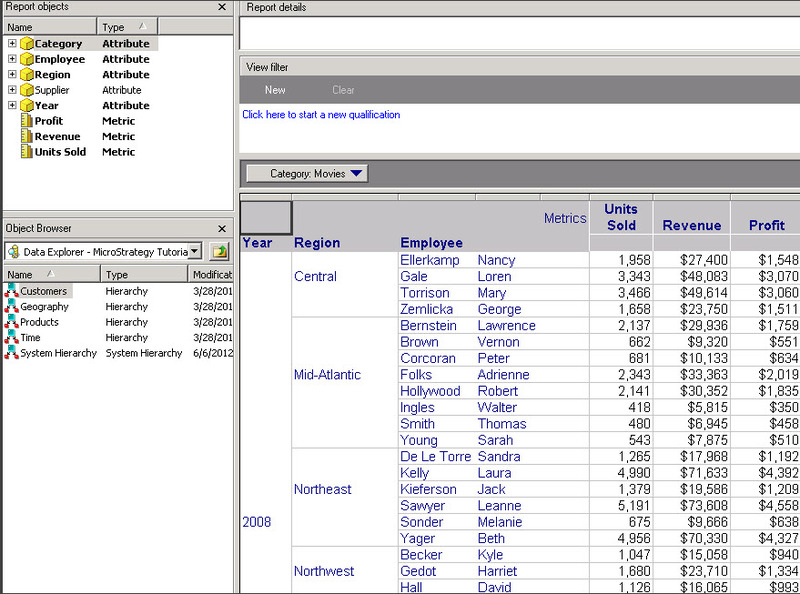 Custom subtotals allow users to define custom subtotal line items that appear on the reports. 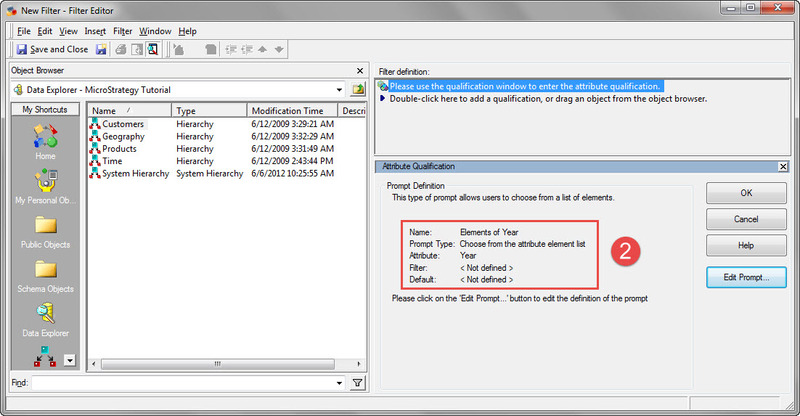 Users can make the subtotal name dynamic by typing special characters in the subtotal name field as listed in the following table. 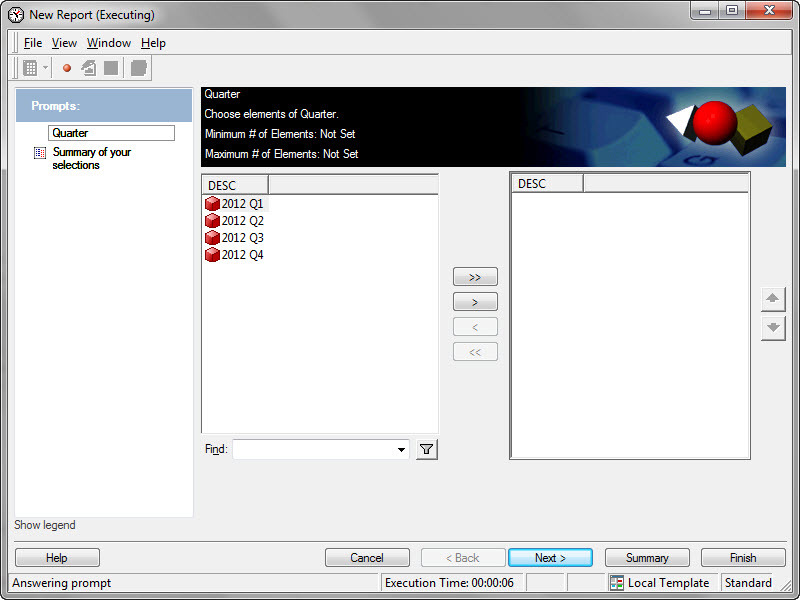 Select Subtotals from the Data menu. The Subtotals dialog box opens. Clear the Totals check box to remove the standard subtotals. Click New to create a custom subtotal. 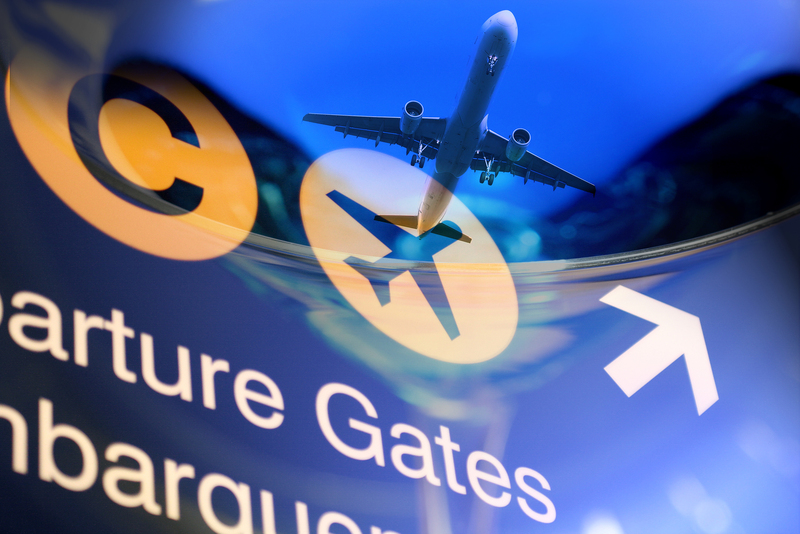 Type the following for the name: “Total for the #P #0”. Remember that P displays the parent attribute and 0 (the number zero, not the letter o) displays all the forms of the parent attribute. In this case, only one form exists for each, as shown below. All the metrics on the report are listed. 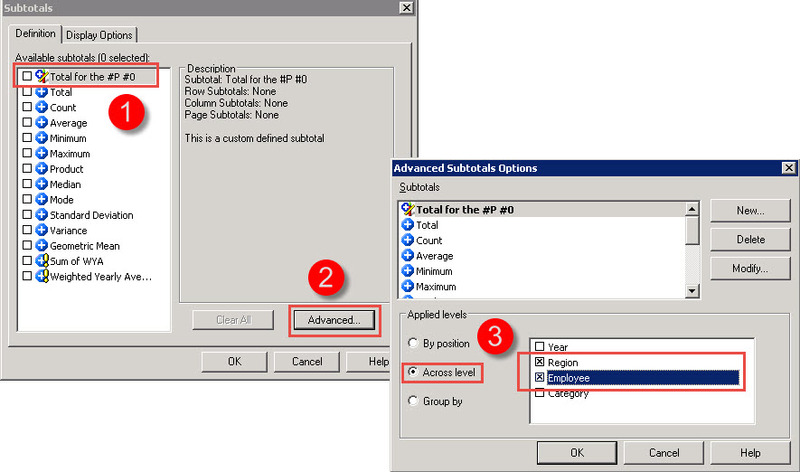 Users can select the subtotal function to use for each. Total is correct for all of the metrics. Check the Total for the #P #0 subtotal (shown below). 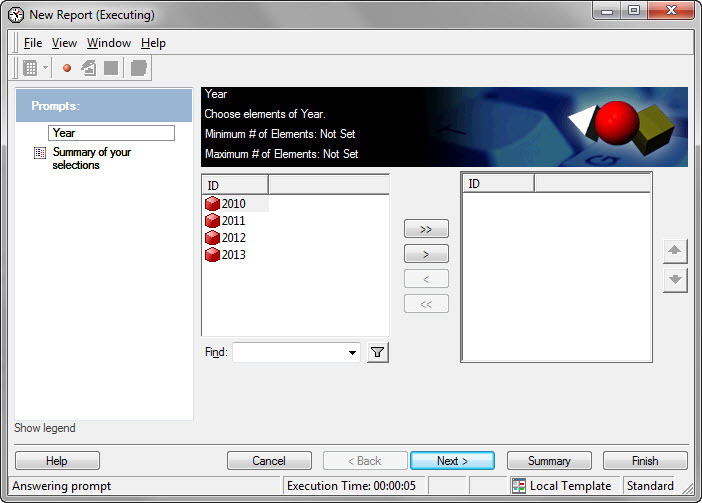 Select Across level and then select the Region and the Employee as the levels. Click OK to save the new subtotal. 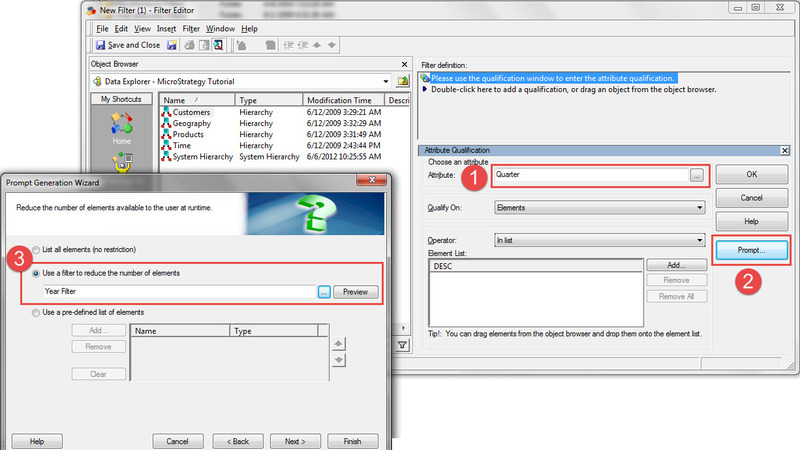 Click OK to return to the Subtotals dialog box. The report should now look like this.